A warm breakfast is served every morning to fuel up for a day in the powder. Bacon & eggs, bread, müsli, fruits, juice, tea and coffee. We propose an Après-ski menu with Japanese and Swiss snacks, and cook on demand some delicious dinners at Kodama for the guests who want to share a moment together. There are some shuttles to bring you to the best local restaurants in Tsugaike or Hakuba where you can find excellent food for every budget and taste. 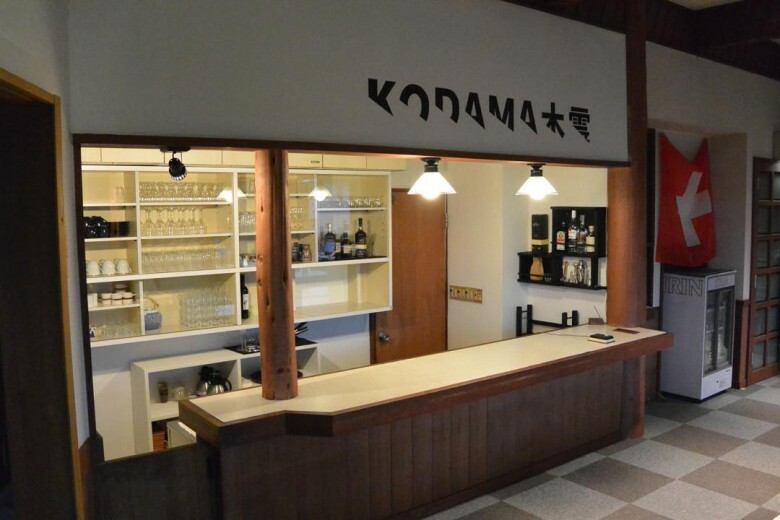 Kodama bar serves a variety of alcoholic beverage and soft drinks in a relaxed atmosphere with nice music and an occasional party.